£500.00 ...Woodlands Academy - to assist ALL boys chosen to represent the School in participating on a South Africa Rugby Tour. Nationally, The Freemasons' Grand Charity is a registered charity that donates money to support the work of other charities. They work with charities who offer youth opportunities, medical research, care of vulnerable people, hospice services, air ambulances and disaster relief. Over £100 million has been donated by The Freemasons' Grand Charity since 1981. 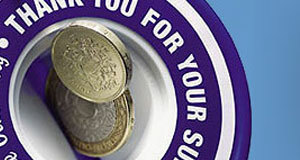 All monies donated by the Grand Charity come from the 330,000 Freemasons who are members of over 8,600 Lodges in towns and cities across England and Wales.